The Solo Event Space in New York City was the weekend hot spot where Latinista Fashion Week Spring/Summer 2014 took place! 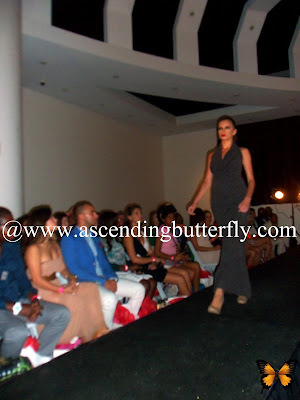 Latinista Fashion Week is a twice yearly event that takes place during Fashion Week in NYC, Miami, Chicago, Boston, Atlanta and Washington DC. It serves as a platform for emerging Latin Designers to showcase their collection to both perspective Buyers as well as the Press. As a top 100 Latina Blogger and Top 3 Big Apple Tweeter I had front row access this weekend to the shows that were kicked off by a welcome reception with Piel Canela Dancers who greeted the crowd by dancing Salsa and also kicked off Cesar Galindo's runway show with their energetic dancing! The welcome reception before the show, was sponsored by Iman Cosmetics, who touched up my makeup and let me try out their BB Cream, Mirta de Perales, a hair care brand that is very well known to the Latina community who were handing out samples of their Linea Keratina (Keratin line of hair products) as well as their Collagen Elastin Face and Neck Cream with Vitamins A & E - which I definitely can't wait to try out! There were also haircare samples provided by Garnier Fructis of their Hydra Recharge line with Fruit Beads. Nail Lounge NY offered guests manicures (I didn't want to take off my recent mani from ten over ten since it was a color for Fall that hasn't even launched yet that I got at the Elements Showcase (more to come on that event soon!) so I didn't try out Nail Lounge NY but hope to try them out in the future! ), Kiss Nail Dress also provided samples, I received the Classic Nail Dress in 'Garter' which I can't wait to put on! And not to be missed was the signature cocktail of the evening, 'The Latinista' of course, sponsored by Tequila Semental. 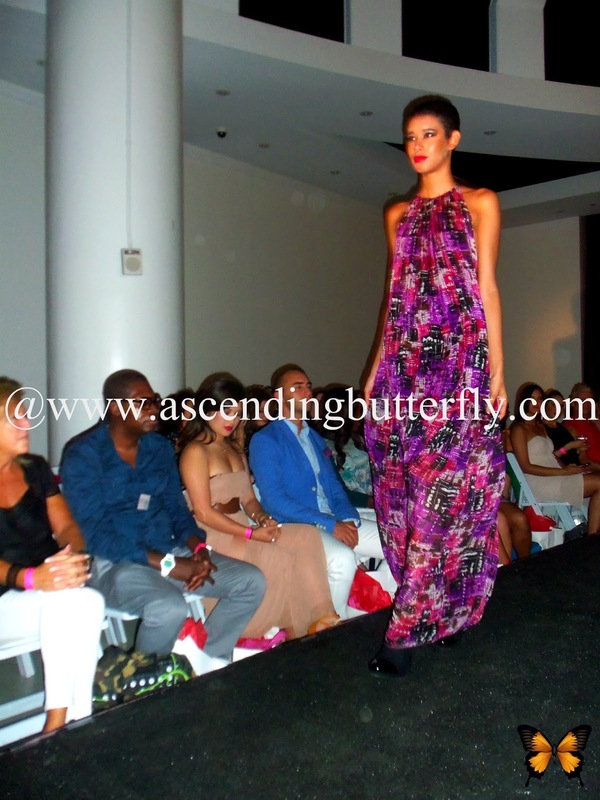 Runway for CZAR by Cesar Galindo SS14 Collection featured at Latinista Fashion Week in New York City - Shot provided by Latinista Fashion Week used with permission. Designer Cesar Galindo with Mirta de Perales team, sponsors of Latinista Fashion Week SS14 New York City - Image courtesy of Latinista Fashion Week and used with permission. Designer Cesar Galindo with Latinista Fashion Week Founder, Dee Rivera - Image courtesy of Latinista Fashion Week and used with permission. I think it's amazingly important that both established and especially emerging Latin Designers have a forum and a showcase to share their talent and designs! Kudos to Latinista Fashion Week Founder, Dee Rivera, and Latina Magazine (exclusive official Media Partner) for joining forces to bring this multi-day branded entertainment environment together! They are providing opportunities for Fashion Designers and Sponsors to come face-to-face with not only principal tastemakers, celebs, musical talent and Media to meet but also consumers who are hungry for whats new, now and NEXT. 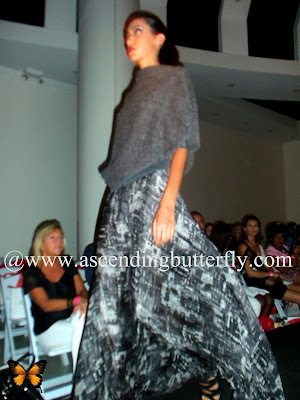 I enjoyed the show and found many of the Fashion to be extremely approachable and wearable right off the runway. One of my standout faves was the purple dress, it was a standout color (that some wouldn't immediately associate with summer but I just love wearing year round) and it was so 'airy' and 'flowy' just perfect for summer resortwear! Ƹ̵̡Ӝ̵̨̄Ʒ - You can also check out the sponsor websites provided in the Fourth Paragraph and show them some love too! Ƹ̵̡Ӝ̵̨̄Ʒ - Are you an emerging Latino/a Designer who wants to apply to be included in Latinista Fashion Week? Are you a member of the Media who wants more information on Press Access to the show in your city? Please email latinistafashionweek@gmail.com for more information! 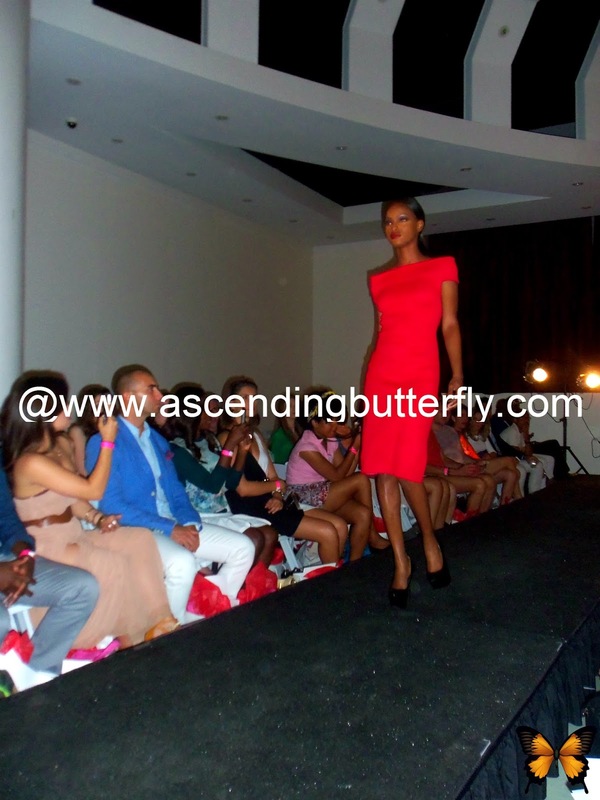 Did you attend Latinista Fashion Week this week? Please feel free to link us to your recap coverage of the show, I'm sure we all got different photos and different perspectives and I'd love to check out any additional coverage and feedback of the show! FTC Disclosure: Ascending Butterfly was provided with Media Access to Latinista Fashion Week for editorial consideration, all opinions are 100% my own, and no monetary compensation has been received to share our event recap coverage. Gift bags were provided to attendees. You may visit our full giveaway and disclosure page for complete policy information. Gorgeous! Sounds like a great mix of products and talented designers...that purple dress truly is striking. @Mer - I'm with you there, that purple dress is a stunner! What a fun event! And I love to see Latin designers getting the spotlight. Cheers! @Pamela P. - Agreed and a big ESO! to that! I love helping to empower Latin Designers to continue to push forward and get the Media Attention they so richly deserve! It's our job as Digital Press to help spread the word and get these emerging designers a place in the sun! Reach out to the organizers, I'm sure there has to be a great deal of demand in your city. The greater the demand, the greater the need for the show to visit your city. Maybe you could do some ground work, and find out where the emerging and upcoming designers are currently showcasing, and see if they would like to take part in something a little bigger with national media exposure! Blogging is always a labor of love! Make no mistake about it at the end of the day it's very hard work, but I enjoy every minute of it and I wouldn't change what I'm doing now for anything. Building a strong, pro-active community that thrives on empowerment of each other and finding great sources of inspiration in my own community, my tireless City and sometimes outside of it to on travels are all the things that make my journey, uniquely me, and incredibly fun and rewarding! @Bohemian Babushka - I know, I had the exact same reaction when I saw Mirta's team, 'blast from the past', but they are indeed still going strong, which I'm glad about because their hairbrush is one of my long time faves! Looks like a fun event! 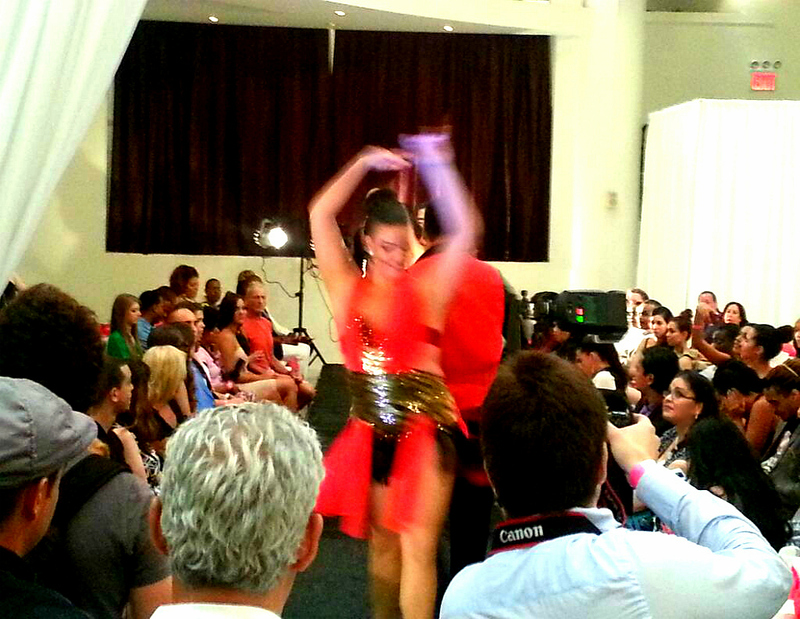 Salsa dancing and fashion? A perfect combination!! @Maria - I had the same reaction! That should have happened sooner right? Looks like a great time and I love some of dresses.And the samples too! @tat2gurlzrock - Fashion Week is always exciting, but the pace can be exhausting too! Samples are always a great way to discover brands and products that are new to you. I have found quite a few products that I now purchase regularly that way! Wow this looks like a great event. Love the pictures!! @Katherine Phillips - Thanks! It was hard to get good shots while the models were in motion from my seat so I now know I really need to upgrade my camera, but this one did OK considering! 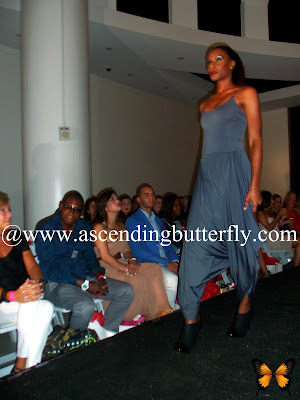 Definitely a fun weekend, and one that got me ready for New York Fahion Week so check back for more runway coverage! Wow, what a fun event! SOme of those dresses are gorgeous. Never heard of Latinista love the coverage you show us. WOW. I love fashion we need more Latina designers. What a fabulous event. How great that you posted so many photos for those unable to attend.